Sticky Notepads, Sticker Notes Custom Printed & Personalised. Smartphones and other electronics appear to be taking over the world. However, there are certain items that people turn to again and again when they are in need, and often these items aren’t of the digital variety. For this reason our custom sticky notepads and printed sticker notes are perfect for promoting your brand. They sit on a persons desk for years and display your logo, every time they jot something down they are reminded of your brand! Browse our range and contact us for a no obligation quote and free virtual sample. A good example of this is sticky notes. These little pieces of paper are extremely handy at times, such as when a parent needs to leave a note for their child and doesn’t want it to be missed. Simply jot down the pertinent information and stick the note on the mirror in the bathroom or their backpack. They are sure to see it then. 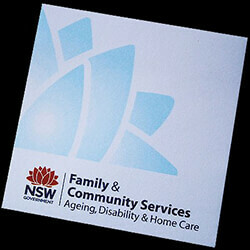 Businesses can capitalize on this by providing promotional sticky notes to clients, suppliers, distributors and more. Everyone can use sticky notes, from the parent mentioned above to a CEO who wishes to leave a note for her administrative assistant. Furthermore, kids enjoy using promotional sticky notepads to leave little drawings for their parents and adults like to put them on a medicine bottle to remember when to take their next dose. As these notes can be used for so many purposes, they are sure to be appreciated by everybody who receives a pad, and the advertising the business gets cannot be matched. A sticky note is a great place to jot down important information. People often associate them with small notes or reminders, but they are helpful for keeping a phone number handy, writing a grocery list or starting a journal entry. People setting up a new home theatre can distinguish between the different wires with the help of these notes, and they are of great help when learning a new language. Simply write the foreign word for an object and place the promotional sticky note on the corresponding item in the home or office. It’s a great way to pick up new vocabulary and have fun while doing so. There are many other uses for notes of this type. When painting a room in the home, use the sticky note as painter’s tape around a switch plate, or use the sticky notes to color-code a planner. In addition, the notes are of great help when creating a seating chart for a conference or wedding, as the guests can be arranged and rearranged until the right seating is found. The ideas are truly endless, and individuals who receive a promotional sticky notepad may come back to ask for more in the future, as they find so many uses for this everyday item. When the time comes to order promotional items for your business in Sydney, Melbourne or anywhere in Australia, be sure to give this item a try. Once businesses see the great return on investment that can be obtained with the purchase of wholesale promotional sticky notes, this item will become a regular order. Dynamic Gift can help you create the perfect note to advertise your business with the help of our free design service. Contact us today and we’ll begin the process of designing the perfect promotional item, as the sooner you start passing the notepads out, the sooner you will see great results.